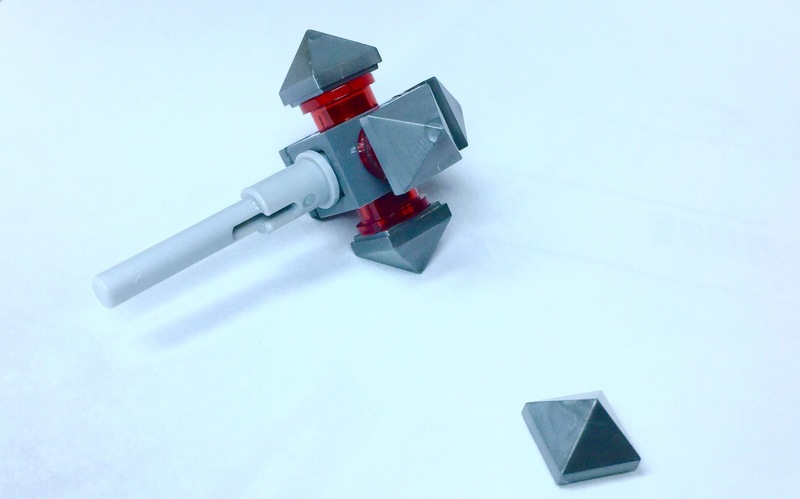 This new ‘pyramid piece’ (Bricklink 22388)debuted in 2016, as part of the Nexo Knights range. It is available in a number of colors including the new ‘Flat silver’, Pearl Gold and trans orange. EDIT: Trans light green has also been spotted in the wild (in one of the new Elves sets, March 2016). These pyramids have the angle continuing almost to the base. Placed next to a 1×2 x 1 45º slope, you can see the slope runs in parallel, in the same plane. Like the ‘Cheese wedge’, the piece is 2 plates high. When placed around the Travis brick, an asymmetrical polygon is formed. The slopes are not quite continuous because of the lip at the base of the slope. Their lack of studs makes it difficult to get purchase on them with a brick separator. However, they can be rotated a short way on the stud they sit on to provide a leverage point. I can see this piece making inroads in micro scale buildings, as well as it’s established role to provide garnish/greebling. 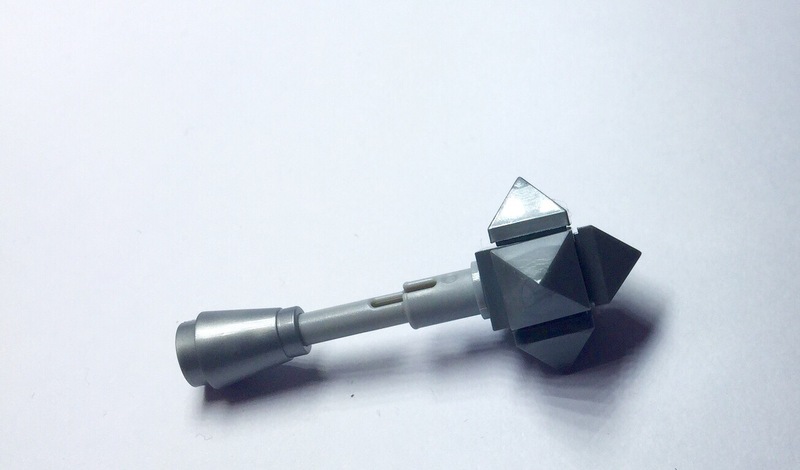 It is an interesting addition to the Lego armamentarium, but limited in its utility due to only one point of interface (the socket underneath, which only takes a single stud). It is currently in a number of the Nexo Knights sets. 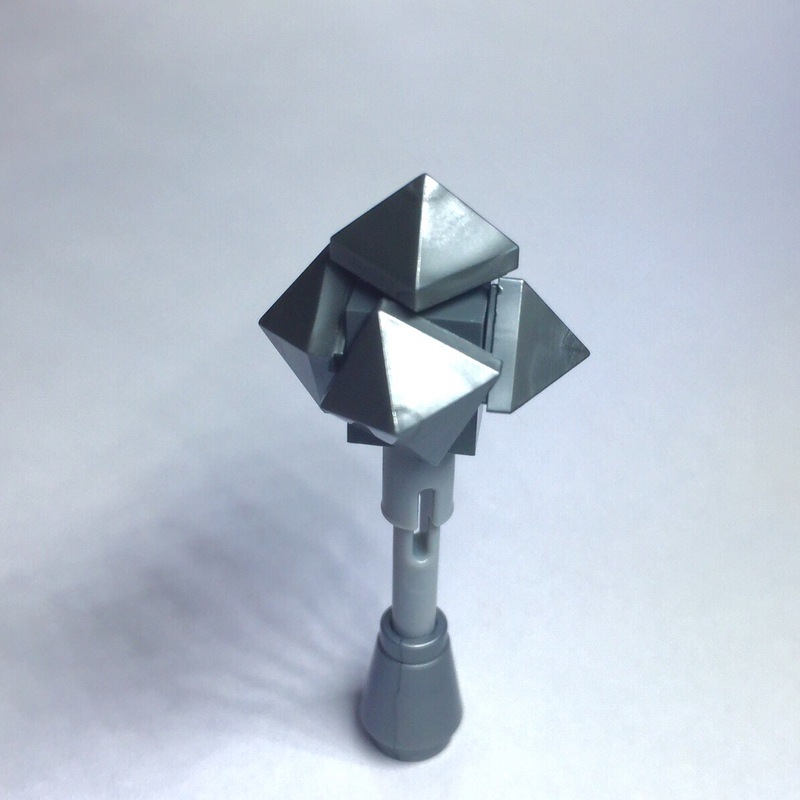 How would you use this piece in a MOC? ?